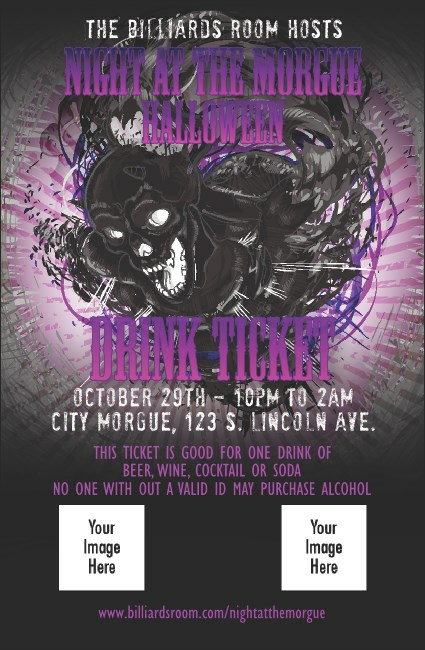 Drink in the darkness and delight in the Demon Explosion Drink Ticket, and explosively evil image with a grinning black skull-faced creature penetrating the veil and emerging into our world from the other side. For Halloween celebrations or any time you and your guests need to release the blackness within. Find your way in the dark with the illumination of TicketPrinting.com.